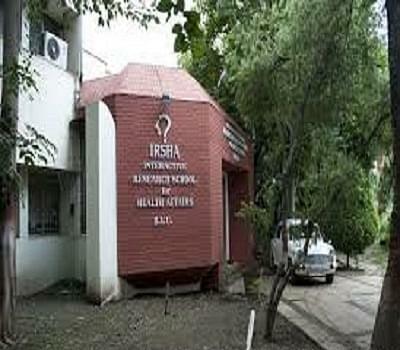 Interactive Research School for Health Affairs is a prime research institute in Pune. It is the first institute in BVU Campus which is focused on research in the field of human health and special attention on adult disorders and mother and child health care. IRSHA focuses on herbal, ayurvedic, homeopathy research in order to find innovative ways in undertaking research culture. This enables the institute to serve humanity in health care and find natural ways to fight critical disease like cancer, tumor, etc... The location of IRSHA emerges to be an advantageous point due to its positioning in medical college and hospital of Bharti Vidyapeeth University which comprises of an expert panel of clinical professionals. Why to join Interactive Research School for Health Affairs? 2. Notable Achievements: - IRSHA has its collaboration at national and international level creating and edge over global market and changes. The college has its own 5 patents and 7 books and has published 65 international publications. College has earned 35 which have been achieved by both college faculty and staff. PhD programs are run in-house with 20 full time PhD students. National collaboration with approx 11 hospitals in pune, Bangalore which facilitate research and expertise help. 3. Founded projects- IRSHA as an overview is focusing on projects like Mother and child health care program via nutrition medicine which is focusing on herbal and Ayurvedic ways to fight complications in pregnancy and role of nutrients and its effects on child growth. Cancer prevention program through natural plant extracts which is medicinal in nature and nuetracueticals includes medicines which regulate tumor growth and development of anti inflammatory agents to fight cancer. Herbal biotechnology is another project which is focusing on scientific validation of herbal medicines. Omega 3 in nutrition is another project college has worked upon toward improvement of health care using omega 3 as an anti inflammatory agent in prevention of disease.